The Sony Ericsson Xperia Ray is a stylish and beautifully designed cell phone that has a 3.3-inch screen, a good 8 megapixel camera and runs on Android 2.3 platform. The cell phone is very smooth, thin and light. It is a bit thinner than other Xperia models. The Xperia Ray is one of a few Android phones that have a descent touch screen response when using the interface. The device has 1GB of internal memory and a 4GB microSDHC memory card with enough space for the programs and applications you like. The frame of the phone is made of aluminum, while the plastic back is covered with a spongy material that provides good grip. The front is covered with glass and there are a home, menu and back buttons. Volume keys are on the right side of the phone which you can use as the zoom button, when the camera mode is on. The Xperia Ray also has a 3.5 mm connector for headphones / headset, and a micro USB plug. Thanks to the Reality Display with Sony Mobile BRAVIA Engine, the LED screen has sharp contrast. The phone runs on Android operating system (version 2.3 ). There are a million of different applications you can download from the Android Market. The Xperia Ray has an incredibly fast single-core Scorpio processor. Thanks to the Exmor R for Mobile, High Definition 8-megapixel camera, autofocus and flash you can take crisp photographs, as well as make stunning HD video clips. 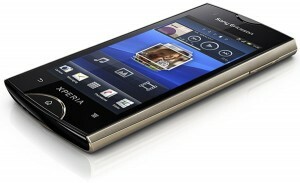 We recommend the Sony Ericsson Xperia Ray to anyone who needs a new and affordable little Android smartphone. This entry was posted in Uncategorized and tagged Android, Ericsson, Experia, Gingerbread, Ray, Sony. Bookmark the permalink.